Annie Cirbo was born in China where she was adopted at 6 months old and then raised in Longmont, Colorado. She came to Fort Collins to attend CSU and is currently pursuing a degree in Health and Exercise Science. Annie has 6 years of boxing experience as well as a background in kickboxing and wrestling. 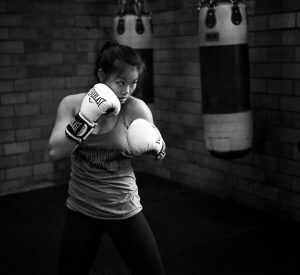 She’s hoping to make an amateur debut in the ring after she graduates. I train because I think it’s important for people to focus on growth and improvement of their capabilities. It doesn’t matter where you come from or what shape you are, anyone can learn to box, they simply need to take the step to try. Boxing is a constant state of learning and it’s my job as a coach to help people embrace every aspect of their fitness journey and seek their inner fighter.